You want the absolute best food and service for your private function, and we provide it for you. For more than 30 years, we have catered weddings, birthday parties, anniversary gatherings, formal sit-down dinners, family reunions, business luncheons -- and virtually any other kind of function you can imagine. Whether a casual, intimate lunch for a handful of close friends, or a formal wedding with hundreds of guests, we'll provide professional service and scrumptious dishes that will leave your guests delighted. Scroll down through our extensive menus below. We offer everything from simple cold buffets to elaborate table service with specialty entrées. Don't see something you're looking for? Have a special dish you want us to make? Contact us! We love to get creative and can create a completely customized menu for your special occasion. In addition to being one of Central Maine's finest dining establishments, we are also the premier corporate catering company in the area. Clients include Hampton Inn (Waterville), the Rockport Opera House, the Belfast & Moosehead Railway, the Margaret Chase Smith Library (Skowhegan), and numerous other local businesses. 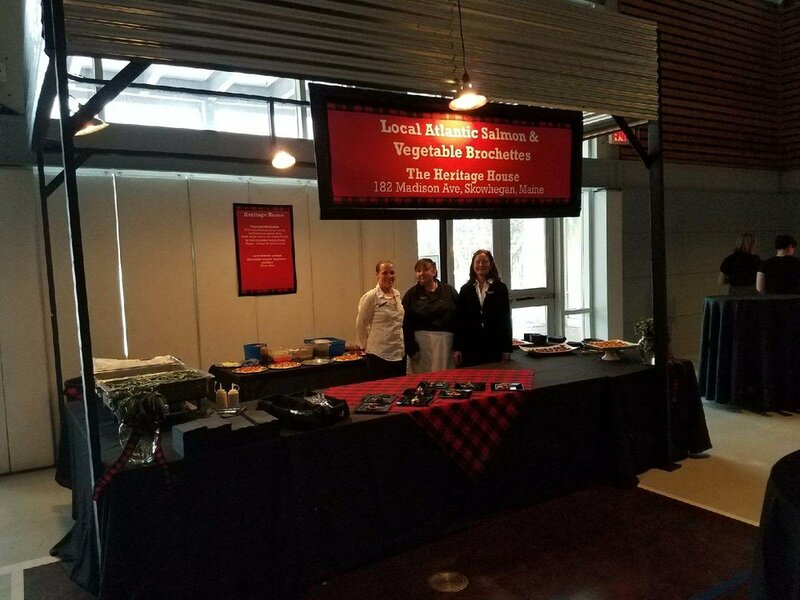 Contact us about catering your business, corporate, or non-profit event. Ready to Book Your Private Function or Corporate Event? Book early to be sure we can accommodate your dates. We look forward to making your event a creative, unique, and memorable experience!